I'm new here. 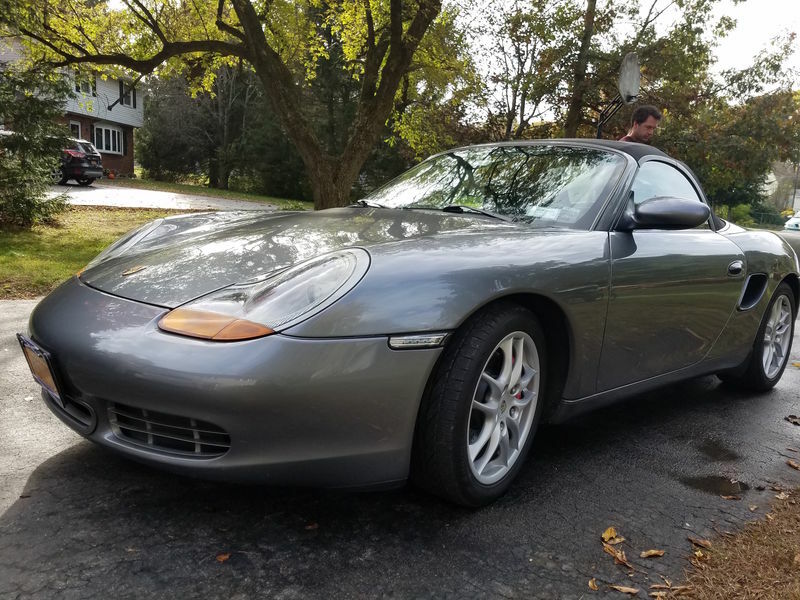 I just picked up a 2001 Boxster S in remarkably good shape this fall for a really good deal after reading reviews of them for years and watching prices fall until I couldn't not get one. The kicker was when my brother brought one down for me to drive, and from about 3 minutes into the drive, I knew I was hooked - I liked it even better than the only other Porsche I'd driven, a 1987 911 (blasphemy, I know). I've had a lot of other German cars in the past, starting with my first car, a 1983 Quantum GL-5 Wagon, then A1 GTI's, Sciroccos, GLI's, etc in my youth, then moving to various 5-cyl cars - QSW, 5kcstqa's, and then a really fun stroked-to-2.5L and more-than-RS2'ed UrS6A that I still regret selling. But I'd never had a real sports car, and I've been in the market for a few years now and couldn't be happier with my choice of this one. It's had the LME IMS upgrade recently, and new clutch and motor/trans mounts and a bunch of other maintenance, which is nice. I had to do the rear trailing arms/suspension track arm/whatever-you-wanna-call-'ems but those were cake. So far, I'm very impressed with the ease of working on this car, in general (and so is my brother who maintains one for a customer). 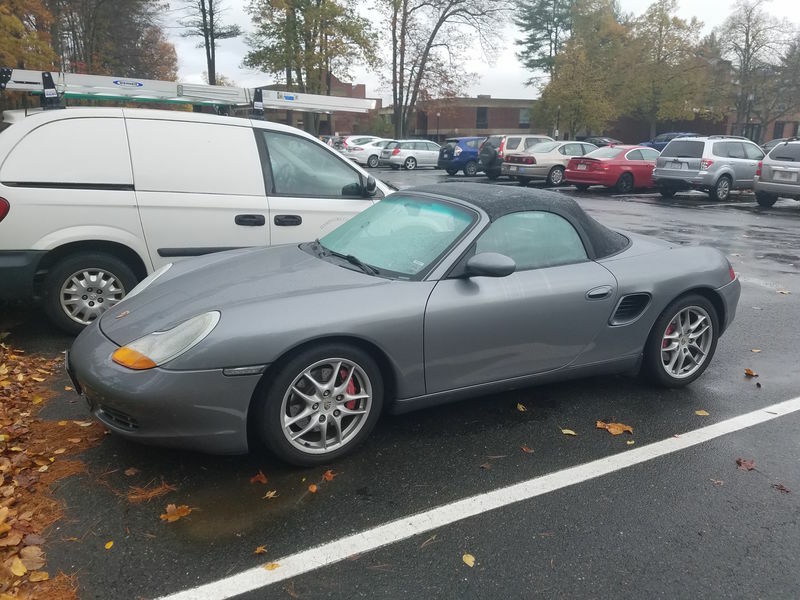 I also had the top replaced with the one with glass because the original plastic one had had it, but what do you expect when buying a convertible? 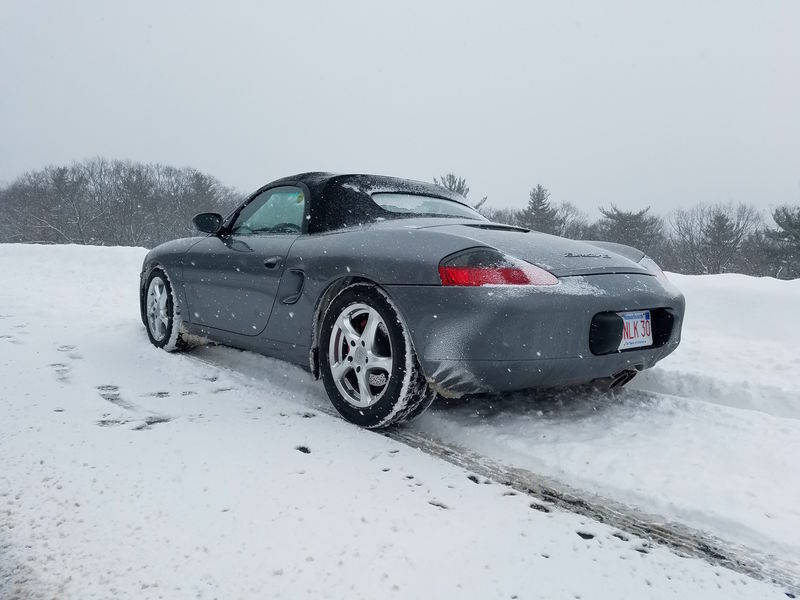 Other than that it's been great - I found it some snow tires and wheels on Craigslist and I drive it whenever it isn't salty and I don't need to carry too much, and I probably derive more pleasure from it than I ever have from any other possession other than perhaps a musical instrument or two. It's better in the snow than my Speed3 or my truck and is amazingly livable day-to-day and I've nicknamed the "PSM Off" button the "fun" button. It has a couple of very minor issues I'll post about elsewhere, but I'm so glad to be here! I haven't had a chance to take any really good photos yet, but here she is in fresh snow with her winter boots on. Great looking car, glad to have another member that isn't afraid of driving in the snow! Thanks! That was one of the deciding factors for me - I don't want a car I can only drive half the year I waited my whole life for this - I'm going to drive it as much as possible!